Comms teams preparing their 2017 Key Dates Ireland listings may find this table helpful. So, it’s important to check before using the listings. I’ve included links to help with this. I hope you find the table useful. If you would like an Excel version, please contact me. All Ireland Business Summit. 6 April. Dublin. Facilities Management Ireland 2017. 7—8 March. Dublin. GradIreland Summer Fair. 7 June. Dublin. Museums for Peace Conference. 10—13 April. Belfast. ACI World Congress. 10 May. Dublin. Futurescope 2017. 10 May. Dublin. Pendulum Summit. 11—12 January. Dublin. BT Young Scientist Exhibition. 11-14 January. Dublin. Irish Beauty Show. 12—13 March. Dublin. Valentine’s Day. Research & Innovation Conference. 14 February. Dublin. Good Friday Titanic Gathering 14—15 April. Belfast. Dublin Tech Summit. 15—16 February. Dublin. ACI Europe Regional Airports Conference. 15—17 May. Cork. Permanent TSB Ideal Home Show. 21—23 April. Dublin. National Construction Summit. 21 June. Dublin. Alltech Craft Brews & Food Fair. 23 February. Dublin. Routes Europe 2017. 23—25 April. Belfast. European Financial Forum. 24 January. Dublin. Annual Global Funds Conference. 25 May. Dublin. World Sponge Conference. 25—30 June. Galway. Space Studies Programme. 26 June — 18 August 2017. Cork. Tech Connect Live. May 30—31. Dublin. Prepared 29 November 2016. Note that information may be subject to change. When you are not sure how to write case studies, this simple question-based approach may help to get you started. Today, most people conduct research online before ever contacting a potential service provider. Even if most of your new business comes through client referrals, you can be fairly sure that your new clients have checked you out online before contacting you. 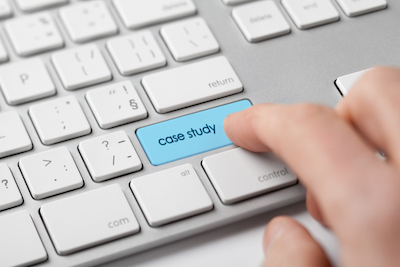 Case studies provide helpful information for potential clients and demonstrate that your firm has the experience and skills to meet their needs. This is why more firms now include some case studies when creating content for their websites and blogs. When writing up your case study, remember to keep your focus on the reader. Case studies are stories and like most good stories, they are more interesting when they show that difficult hurdles had to be overcome before success was achieved. The questions to focus on are the same questions that journalists often answer in the first line or two of their reports — Who? Where Where? What? When? Why? How? Result? WHO is the subject of your case study? WHERE is the subject — location and/or sector? WHAT was the client’s problem? WHEN did the client decide to contact you? WHY did the client decide to get help and why did they choose your firm? HOW did you help the client? Finally, what was the RESULT of your actions? When thinking about how to write your case study, try to include some colour and drama. For example, perhaps you can describe how some unexpected adverse event forced the client to seek external help. Or perhaps you met unexpected resistance when you tried to implement your solution. Explaining difficulties and how you overcame them makes the story more interesting and is an opportunity to show off your experience and skills. Remember to include a conclusion that summarises the problem, solution and result. Finally, if your firm does not have the resources to create the case studies you need and would like some help, please get in touch to discuss your specific requirements. If you found this article useful, you might also like these tips on how to check your firm’s online visibility. 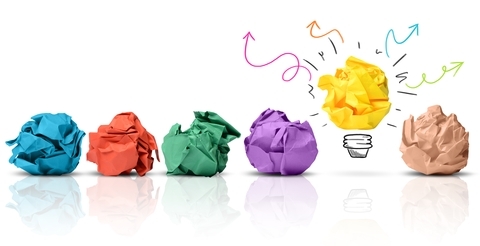 The question clients often ask me is how to generate content ideas. Most find it easy to come up with two or three topics but then the creativity well dries up. The following simple exercise can help to unlock a stream of content ideas. What are your firm’s areas of expertise? Most firms are particularly strong in certain areas. An accounting firm, for example, might excel in advising family businesses or charitable organisations. Maybe you’re a generalist with a lot of sole traders on your client list or maybe your tax team includes some experts in wealth management. The first step in planning content should be to list four or five of your top topics. Next, for each topic on your list, think about the problems that your clients typically encounter. What are the questions they ask? What themes recur again and again? For family business clients, this list might include cross-generational disputes, divorce, retirement, death, knowing how and when to bring external expertise into the business, expanding the business, selling the business, and so on. Before long, you’ll have a good list of potential topics. The next step is to share this list with the relevant experts in your firm. Take the time to talk to them and further topics are likely to emerge from that discussion. If you’re lucky, your experts may even volunteer to write some content for you. More likely, however, they’re too busy to write or they may not have the skills to create the types of content that you need. If that’s the case, consider getting someone else to interview them and write up the interviews for your website or blog or record the interview for your Youtube channel. It’s also worth reviewing the content you already have — brochures, reports, Powerpoint presentations, videos, slideshares, press releases, speeches, articles, and so on. Some of this material will be ‘evergreen’ or easy to update. While you are at it, check that the online biographical information about your firm’s key executives is up to date and that all links referenced in your content are current and working. While the exercise outlined above will help you generate content ideas, remember when you are writing to stay focused on your reader. Try to be clear, relevant, helpful and readable and don’t publish everything at once. 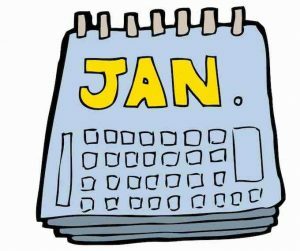 Instead, consider creating an editorial calendar to remind you to update and publish material on a regular basis. Even something as simple as a reminder in your Outlook diary can be enough to make a difference. I hope that you found this short article helpful. Thanks for reading and please consider sharing it with your network. More and more professional services firms recognise the importance of having good content on their online platforms. Relevant, reliable content builds trust and trust is important when developing client relationships. When people need help to solve a problem, usually the first place they look is online. 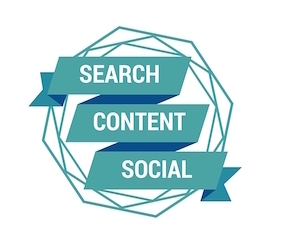 Search brings potential clients to your website. It is how they discover you and evaluate your potential solution against that of your competitors. These searches take place well before the client ever contacts you. This is why it is important to understand the words people use when searching and the questions they ask. And, of course, it is also important to make sure that potential clients can find your firm online. If you don’t turn up in search results, they may never find you. Assuming your firm specialises in providing particular services — tax, wealth management, family business advice, accounting or audit — then you’ll already have a good understanding of the most common problems your clients face. You can use draw on this knowledge to brainstorm the search terms your clients are likely to use when they are looking for solutions to their problems online. How do they phrase their questions? Pay attention to their language when you are planning your content. This helps ensure that you focus your efforts in the most productive areas. Sharing quality content helps build your firm’s professional reputation and demonstrates your expertise. Content that is useful to potential clients may take many forms: articles, blog posts, videos, reports, powerpoint presentations and slideshares are just some of the content types typically created and shared by professional services firms. Remember, when creating content to focus on what is helpful to your client or potential client. Case studies are particularly useful but even a biographical note about an employee can reassure potential clients that he/she has the skill and experience to deal with their particular problems. It is worth thinking through what you say in your ‘About us’ section of your website. For example, a bio might explain that an employee holds a qualification in mediation and is experienced in resolving family business disputes. This information is helpful to potential clients involved in similar disputes. Make sure that all your content includes contact information — whether that’s a contact form, an invitation to join your firm’s mailing list or button to request a relevant download. You get the best return on your content when your website visitor become a client. Sharing your content via social media encourages clients to engage with your firm and makes it easy for them to contact you. Decide which social platforms work best for you. LinkedIn is good when you want to attract the attention or your peers. Twitter is home to many journalists and can be useful if you are seeking media attention. Facebook and Snapchat and YouTube may be better when you are trying to recruit trainees. Few firms have the resources to be active across multiple platforms so it’s a good idea to be strategic — to know where you want to be active, and why. Finally, remember to check and update your existing content from time to time and make sure that all links and contact points are correct and working. That way, you’ll get a better long term return on the content your firm creates. If you need help creating or updating content for your website, I would be pleased to provide a quote. You can contact me here.